Complete with a spacious lobby, private office spaces, outfitted meeting rooms, and support staff to help build your business, our Pacific Workplaces (a.k.a Pac) Greenhaven location offers flexible workspaces to fit your business needs. Our “no-term” leases provide maximum flexibility if you need to establish an affordable private office space in Sacramento with on-demand expansion and contraction ability. Get a Quote to see our different office space options. If you need to establish a strong business identity in Sacramento, use our business address and mail forwarding services, or access a temporary office space and meeting room from time to time. Our Virtual plans come at a fraction of the price of a dedicated office and are the fastest growing form of officing in the area. Find out more about Virtual Services provided. 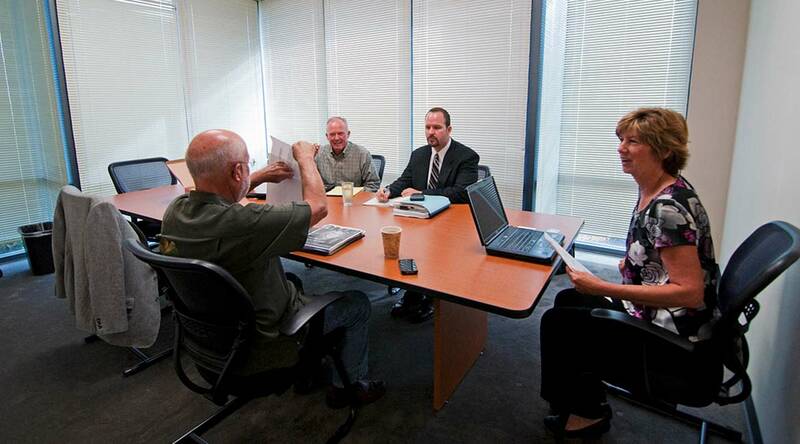 Our Sacramento Greenhaven location has several different meeting rooms for you to choose from to cater to your work needs in any given day. Our day offices are private and offer natural light and landscape views for your more one-on-one or intimate meetings. We also have other spaces like our Pocket Meeting Room that seats 4, and our River Boardroom if you need a larger seating capacity of more than 14 people. 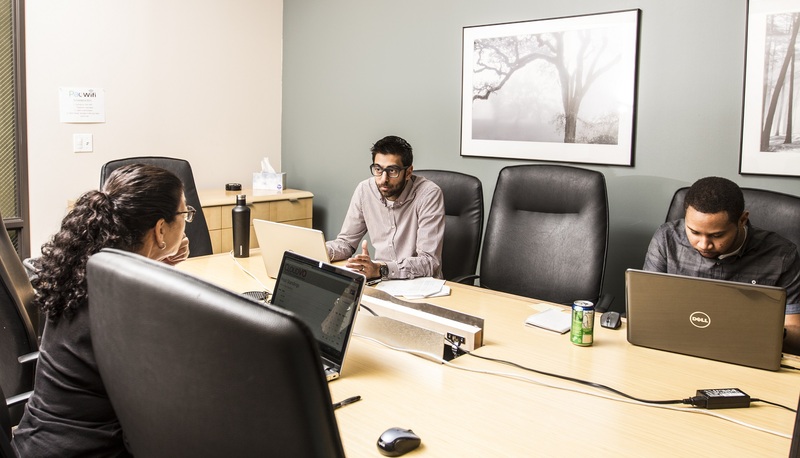 Our meeting rooms are souped-up with wifi, whiteboards, conference phones, flat screen displays, and laptop/tablet connections and accessories. Our coworking area is not your standard large open coworking space, but we do have open workstations in our lounge and communal areas where you can efficiently work on a laptop. To explore your shared workspace options, click the button below to provide more information on what you’re looking for, and we will help guide you to the best plan. To view our traditional coworking spaces, check out the open coworking locations throughout our portfolio. Our Greenhaven team can set you up with a regional pass that gives you access to on-demand shared workspaces throughout the larger Sacramento area, and 650 locations around the globe through our CloudTouchdown™ Program. Our Greenhaven members make-up many different professional industries. Attorneys, consultants, recruiters, engineers, and marketing firms are just a few of the businesses you’ll find here. Most of us live nearby and are happy to learn that we share many things in common as ‘locals’ who live and work in the community. It is not uncommon that members bring in fresh fruit bowls to share in the business lounge and fresh flowers from the garden for everyone to enjoy. We also have a new housing and retail development one exit south of our location called Delta Shores which is expected to have 5,000 new homes in the next few years. Conveniently located one exit north of Elk Grove off of Interstate 5, Pac Greenhaven is a great alternative to pricier downtown Sacramento office space. A development called Delta Shores just south of our location will offer retail shops and 5,000 new homes in the next few years. Whether you need a full-time private office space, or an as-needed virtual or coworking membership plan, we provide convenient and affordable on-demand office space solutions for professionals who don’t want to deal with the high cost and hustle and bustle of downtown Sacramento. We will meet or beat any competitors offer on matching space and services*. *Based on available inventory. Offer must be in writing from a like-kind provider defined as Regus, WeWork, or a member of the Global Workspace Association that operates within 5 miles of this location, and indicate the office square footage. Be sure to check out how we compare to Regus Elk Grove in terms of virtual office pricing, meeting rooms and customer reviews. Visit our other Sacramento locations downtown and just off of Highway 50.